Though St. Joseph’s Indian School is affiliated with the Catholic Church through the Priests of the Sacred Heart, we welcome children of all faiths, recognizing the dignity of each human person created in God’s image. Students are not required to be Catholic, and we respect each child’s individual family beliefs. Families record their wishes in their consent packet each year, and the Director of Mission Integration follows up to confirm those wishes and provide further information when sacramental preparation is requested. We provide spiritual education through Religious Studies classes for all students in grades one through 12. 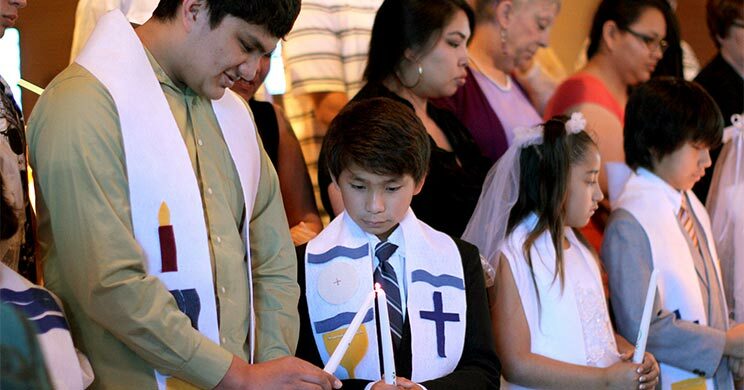 When families request, we work with them to prepare their children for Baptism, First Reconciliation, Communion and Confirmation. In adherence to our mission, we seek to educate the Lakota children for life — mind, body, heart and spirit.